Debenhams, Expedia and Argos were labelled the best m-commerce retailers in EPiServer’s latest report. The mobile shopping experience of Debenhams customers has surged to a benchmark score of 90%. 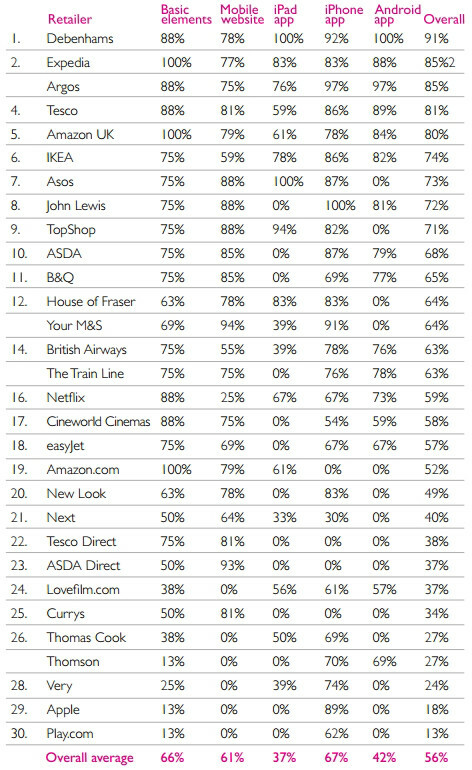 The second UK Mobile Commerce report rated the mobile websites and apps of 30 top retailers. The eventual score was derived from a best practice benchmark informed by research into current consumer attitudes on mobile usage and experience. There’s still a great deal of retailers that aren’t offering consumers a mobile optimised site. 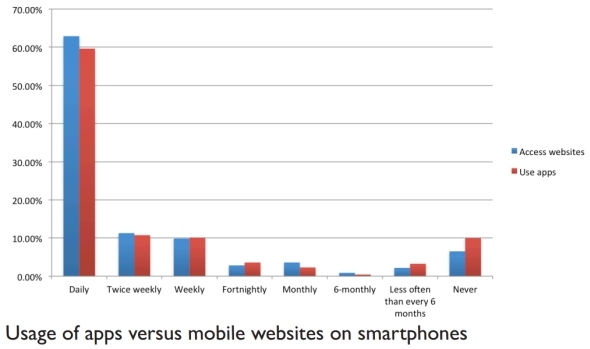 However, the situation has improved with 17% of the top 30 not having a mobile site, compared to 30% backin 2011. EPiServer’s research shows how mobile websites are used marginally more than apps, with 63% accessing sites daily compared to 60% that prefer dedicated apps. Retailers are slowly succumbing to rising smartphone usage among consumers and aligning more resource towards their mobile-optimised site experience. Last year, the survey’s average score was 55%, which has improved on 2011’s 47%. Product manager at EPiServer, David Bowen, was full of praise for Debenhams, which has been rewarded with sales and conversion growth after the inroads it’s made into mobile commerce. “Top performer Debenhams in particular is a great example of how having a solution for each platform and offering a contextualised mobile experience across each is the winning formula for delivering a premium customer experience, and ultimately increasing conversions and sales,” Bowen said.